Bisley, the British storage firm is expanding its reach in the North American Market, with a new 6,000 square foot showroom space, located in the Flatiron district of Manhattan, New York. Bisley already works with a number of clients in the North American market, including Time Inc., Unilever, L’Oreal, Verizon and Uber, and is currently working on projects in New York City, Boston, Toronto, Montreal, Miami, DC, LA, San Francisco and Seattle. 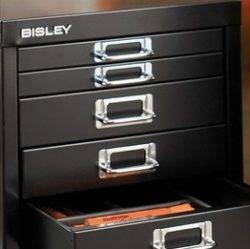 In addition to the new showroom, Bisley has announced an agreement with Connection to become its exclusive distributor in the Americas. Bisley is officially launching the showroom on 4 and 5 October 2017.